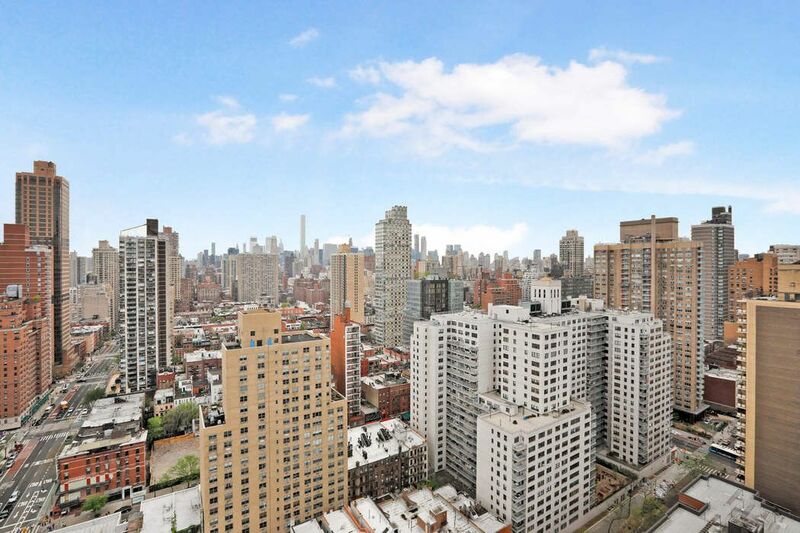 360 East 88th Street Apt 28A, New York, NY 10128 | Sotheby's International Realty, Inc.
$1,450,000 2 Bedrooms2 Full Baths985 sq. 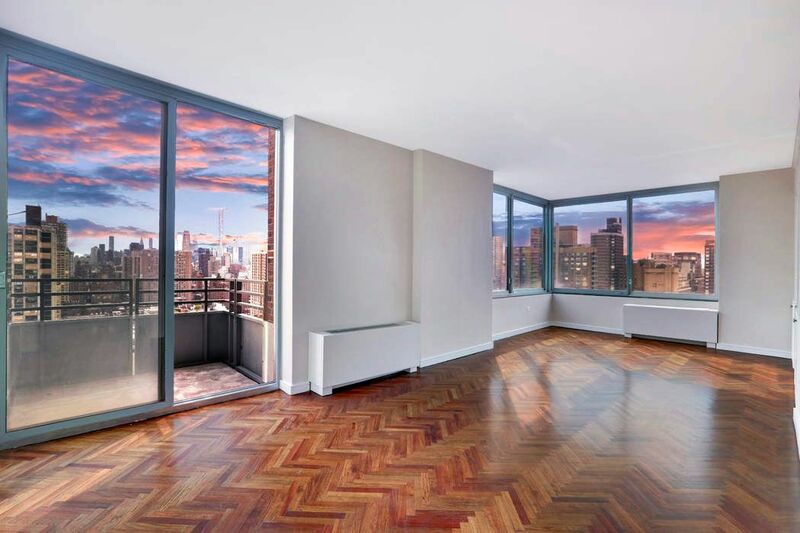 ft.
With stunning helicopter views to the south and west, this rare high-floor corner 2 bed, 2 bath home with private outdoor space is perfect for luxurious living or grand entertaining. 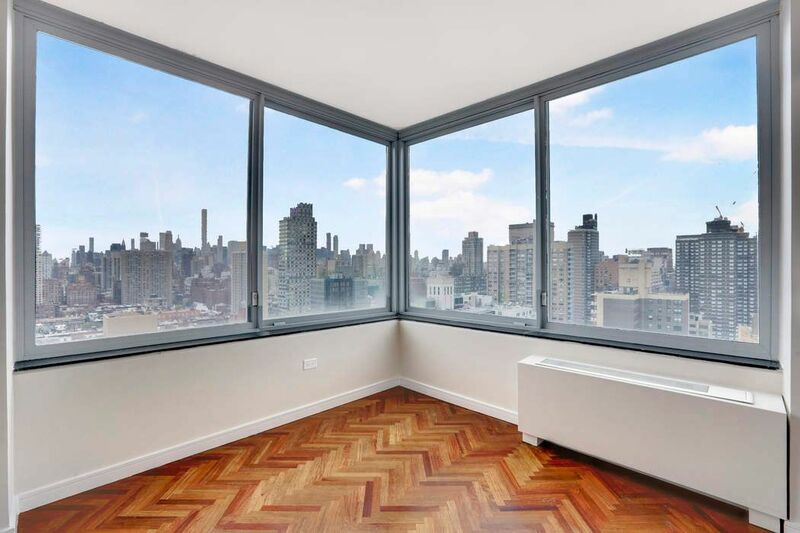 Perched on the 28th floor, this pristine home offers picture perfect views of Manhattan’s iconic skyline from every room, and it is one of only five units above the 22nd floor with outdoor space. The expansive 26’+ long corner great room features wall-to-wall windows and affords for flexible living layouts with sunny southern exposures during the day, and dramatic sunsets to the west every evening. 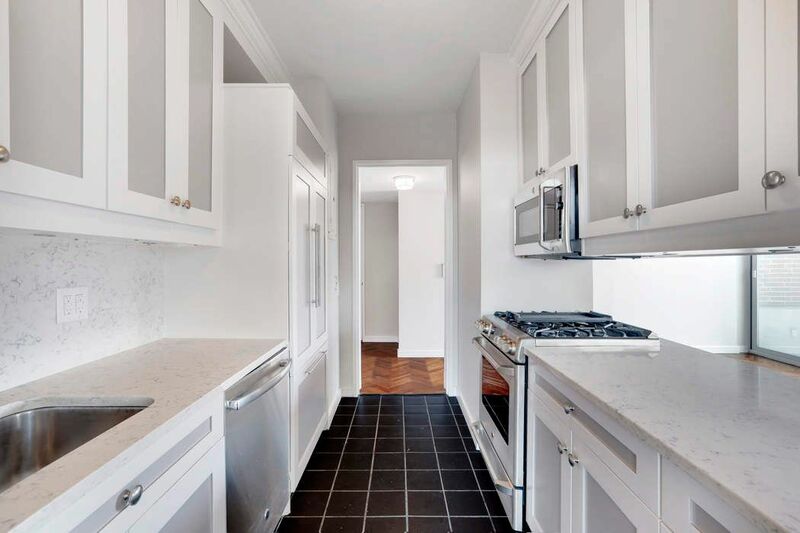 The renovated kitchen features custom cabinets, Caesarstone counters, and high-end suite of appliances. 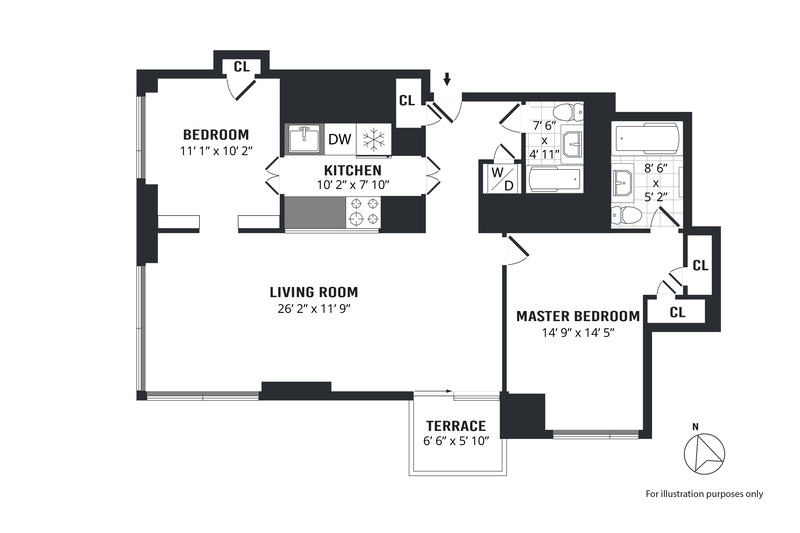 The king-sized master bedroom features ample closet space, and a renovated en-suite bath. 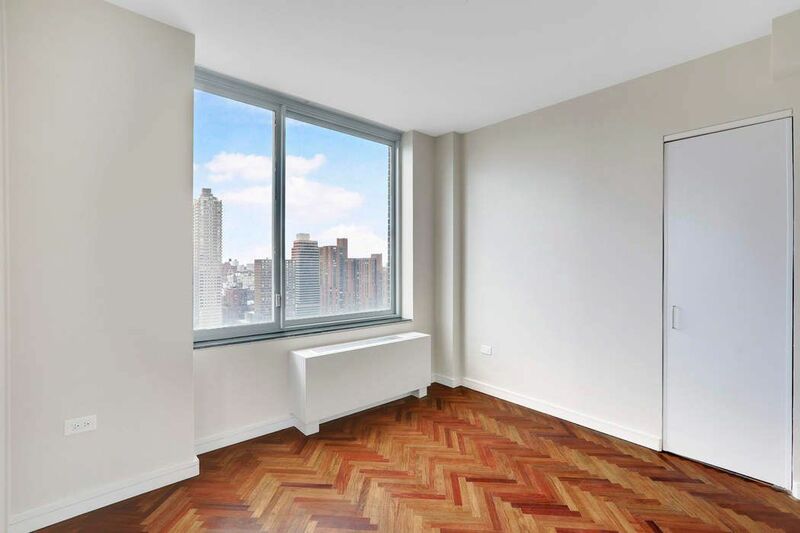 This home also features a second renovated bath, beautiful rosewood Herringbone floors throughout, and in-unit washer and dryer. Designed by award-winning architects James Stewart Polshek & Associates, The Leighton House features an attentive staff, a renovated gym with yoga studio and sauna, and a courtyard with a children's playground and basketball court. 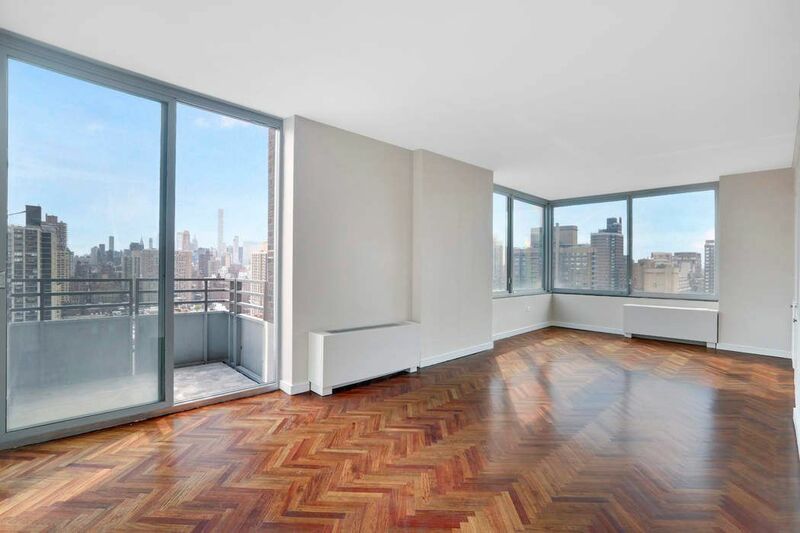 The building is ideally located in a quiet yet convenient area neighboring Gracie Mansion, Carl Schurz Park, Whole Foods, Fairways, ample fine dining options, and the Second Avenue subway line. 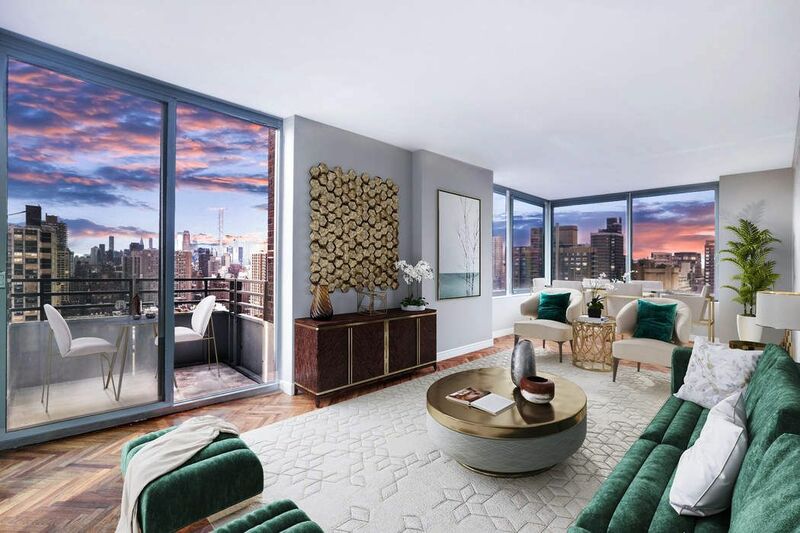 With stunning helicopter views to the south and west, this rare high-floor corner 2 bed, 2 bath home with private outdoor space is perfect for luxurious living or grand entertaining. 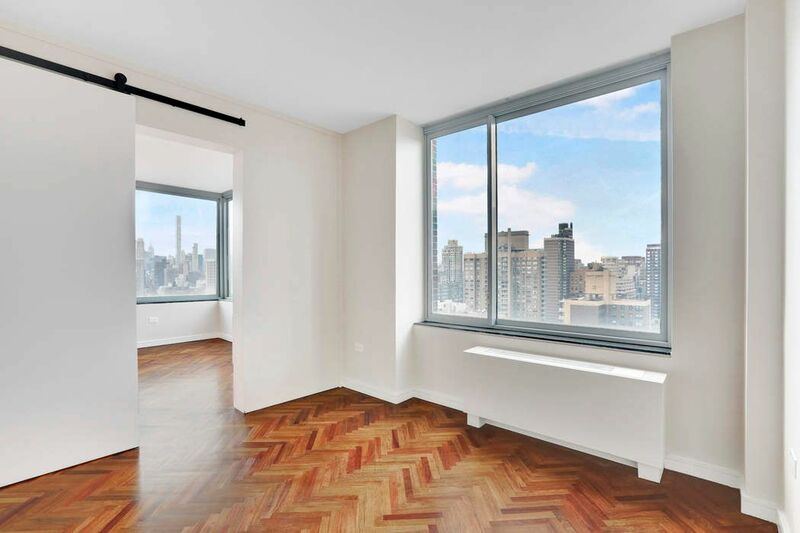 Perched on the 28th floor, this pristine home offers picture perfect views of Manhattan’s iconic skyline from every room, and it is one of only five units above the 22nd floor with outdoor space. The expansive 26’+ long corner great room features wall-to-wall windows and affords for flexible living layouts with sunny southern exposures during the day, and dramatic sunsets to the west every evening. The renovated kitchen features custom cabinets, Caesarstone counters, and high-end suite of appliances. 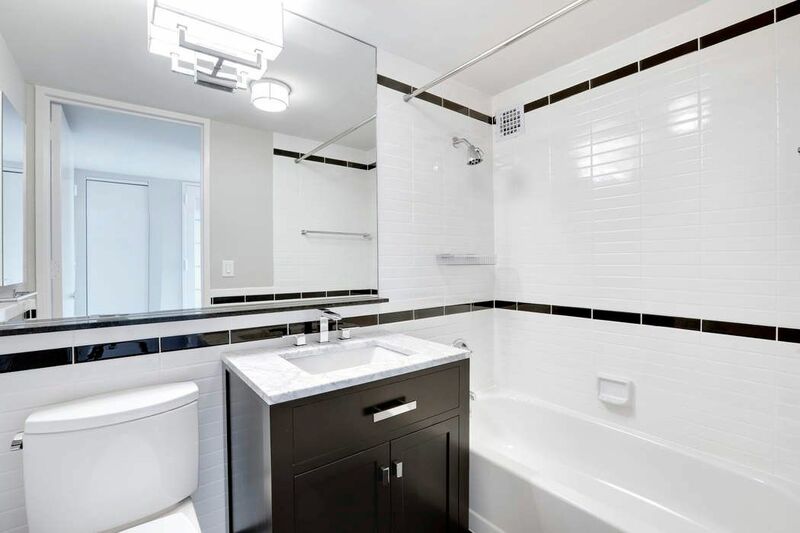 The king-sized master bedroom features ample closet space, and a renovated en-suite bath. 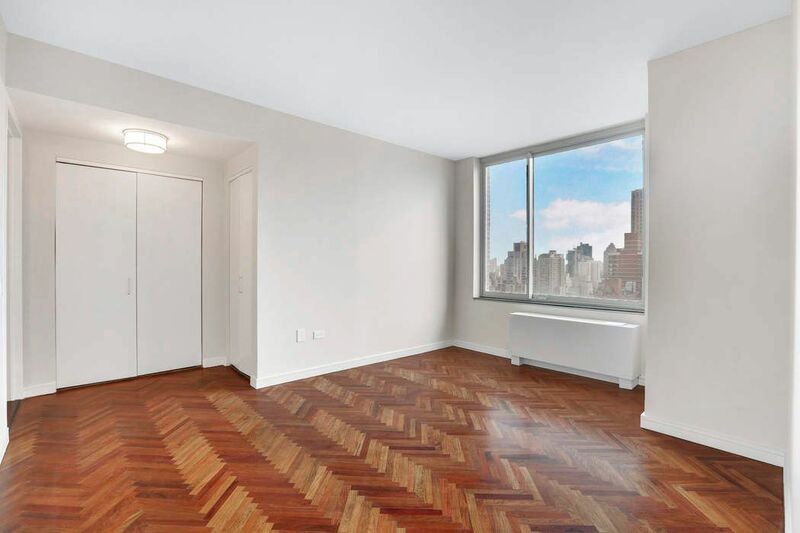 This home also features a second renovated bath, beautiful rosewood Herringbone floors throughout, and in-unit washer and dryer. Designed by award-winning architects James Stewart Polshek & Associates, The Leighton House features an attentive staff, a renovated gym with yoga studio and sauna, and a courtyard with a children's playground and basketball court. 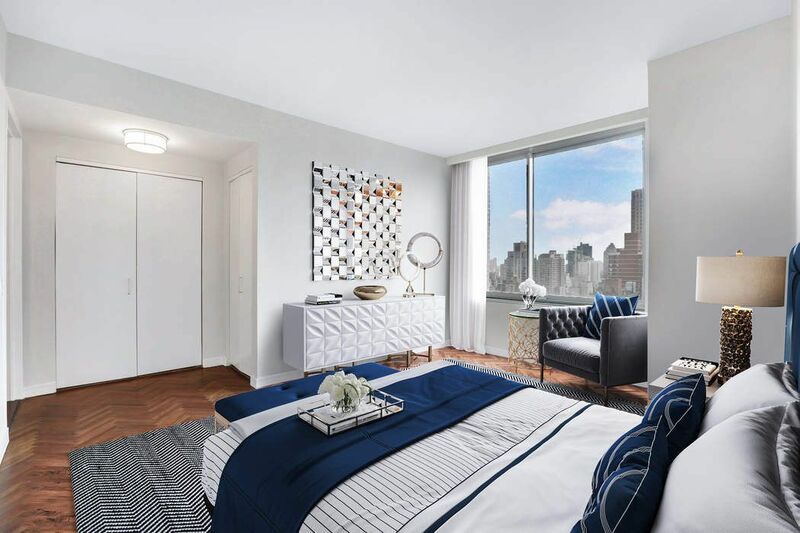 The building is ideally located in a quiet yet convenient area neighboring Gracie Mansion, Carl Schurz Park, Whole Foods, Fairways, ample fine dining options, and the Second Avenue subway line.